The postponement of the January league match meant that our ladies team had quite a break from racing since the last match in November. This match held extra significance too, given that we were hosting the fixture, jointly with Fulham RC, in Richmond Park. A pre-race meeting on the snow-covered course the week before had indicated that the ground would be wet and muddy in several places, giving all the athletes an additional challenge on this tough undulating course. On the day, it was pleasing to see an excellent show of K&amp;P officials and volunteers give their time to help and the match progressed smoothly and efficiently, despite blustery conditions, through the Division 1 ladies and junior races. 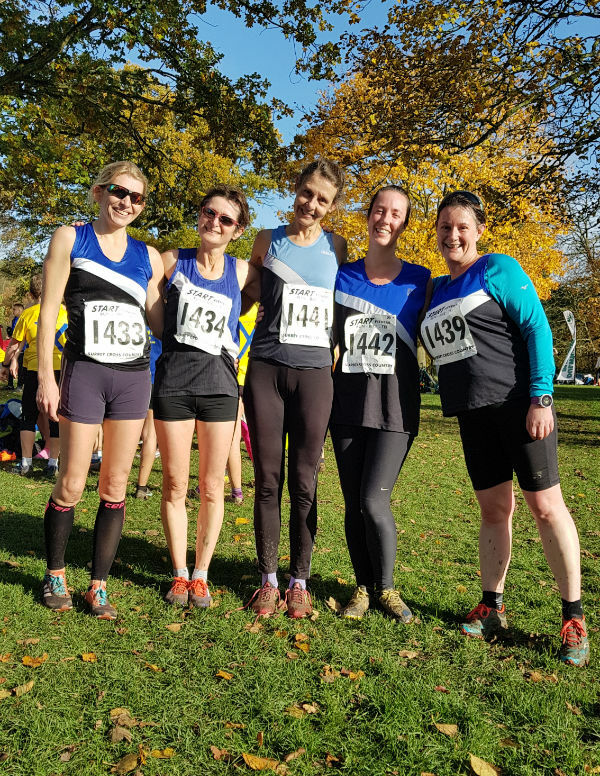 At 1pm, it was the turn of the Division 2 ladies to race - including our small K&amp;P ladies team. In a season marred by injury and illness, we again had only a minimum team of 5 at the start line. Encouraged by the ‘home’ support, our team did their best to ignore various ailments and entered into battle with the course. Nicky Atkins gave a solid performance and was first home in 80th place with a time of 42 minutes 55. Liz Richardson followed in 105 th place in a time of 44:26, with Nicki Murphy finishing not far behind her in 45 minutes 51 for 125th place. Susanne Dietrich made a welcome return to racing, finishing in 53:14 (183 rd place) and Caroline Jeffcote was pleased to complete the team score in 199th place (55:46). This was another high quality and strong Division 2 field of 227 athletes and our small ladies team performed well to finish in 18th place out of 23 teams, when the priority on the day had been to host a successful league match. Grateful thanks to all those (including our friends at Fulham RC) that helped before or on the day to ensure that the fixture was well organised and enjoyed by all. This was a fantastic team effort, though special thanks must go to our race day manager David Barrington and to Matt Hyett for their invaluable contributions. The final league match will now take place on 2nd March at Lloyd Park with the Division 2 ladies race being held at 11am. All athletes U13 and above wishing to race and all supporters will be welcome.